This week for the photo challenge, Amy asks us to share something about our travels and featured a collection of photos from a trip she made to Peru. You can read her entire challenge post here. Regular readers know that Tuesday of each week I share photo story about a different place or event I’ve visited, the well-known as well as the not-so-well known places are included, but I really enjoy sharing the lesser known places. In response to the challenge, I will share with you just a few selected images from some of those lesser known events and places in the United States. The opening photo features an image captured at the annual Big Iron event held each September in West Fargo, North Dakota. It’s an agricultural related equipment show that is open to the public and attracts people from miles around to look at the large pieces of equipment. 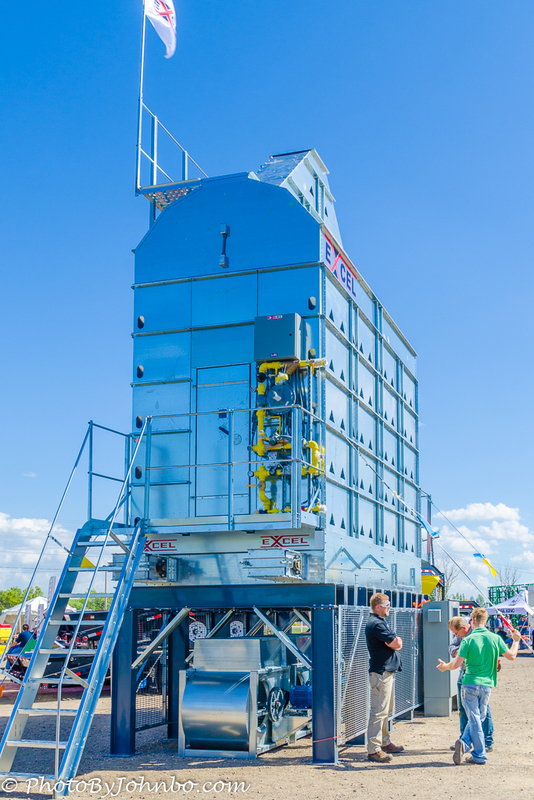 This shot features a grain dryer. You can get a view of the scale of this equipment by looking at the people standing in the lower right corner of the photo. 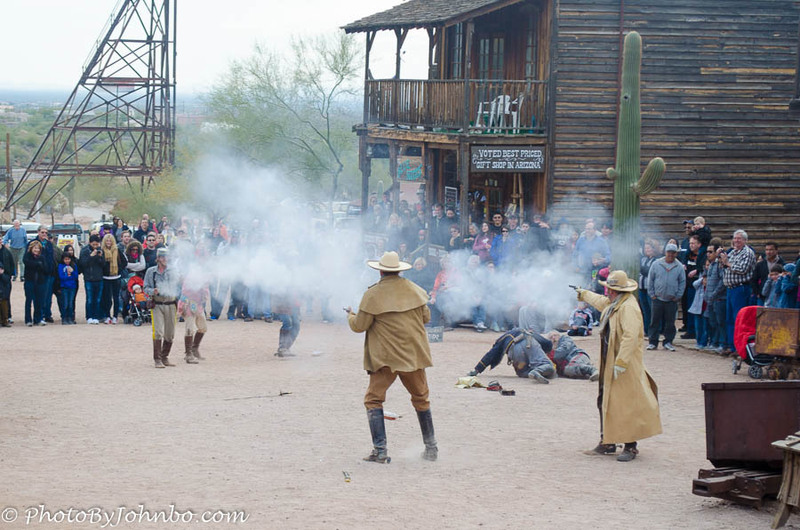 Throughout the west, you can visit recreated towns, some of which were sites of famous historical events such as Tombstone Arizona’s Gunfight at the OK Corral. You don’t have to travel all the way to Tombstone to see a historical gunfight reenactment, though. Chances are there’s a regularly held “gunfight” much closer to you. In the example image, Goldfield Ghost Town at Apache Junction, just a short drive from the Phoenix metro schedules the reenactments regularly. We’ve also been to “gunfights” at Oatman, Arizona and Deadwood, South Dakota. Our state and county parks are often overlooked places to visit as vacationers rocket down the Interstate. 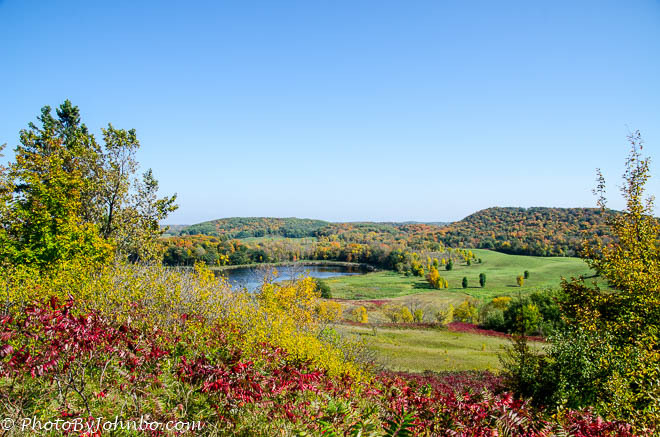 We’ve spent some time in our travels enjoying the summer and autumn scenery in Maplewood State Park and also in Itasca State Park in Minnesota. The view from a hilltop at Maplewood Park, above, is one of my favorite fall images. Over the years, I’ve taken the opportunity to ride the iron rails on an old steam train. This year, I am already scheduled to ride the train at Verde Valley in Arizona and with any luck on scheduling, a summer drive to Colorado will bring me to within three hours from Durango. If the schedule meshes, I’ll take a side trip to add The Durango and Silverton narrow gauge train to my collection of train images. 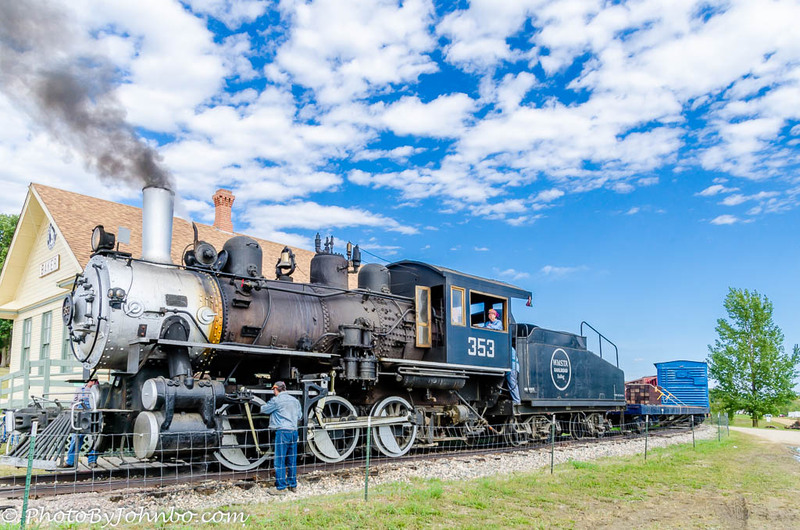 The photo above features Old 353, an authentic steam engine that carries passengers around the grounds of the Minnesota Steam Threshers Reunion in Rollag, Minnesota every Labor Day Weekend. Over the years, I’ve learned to appreciate the native cultures indigenous to North America. I’ve visited Native American museums, historical sites, and most recently, some Powwows. 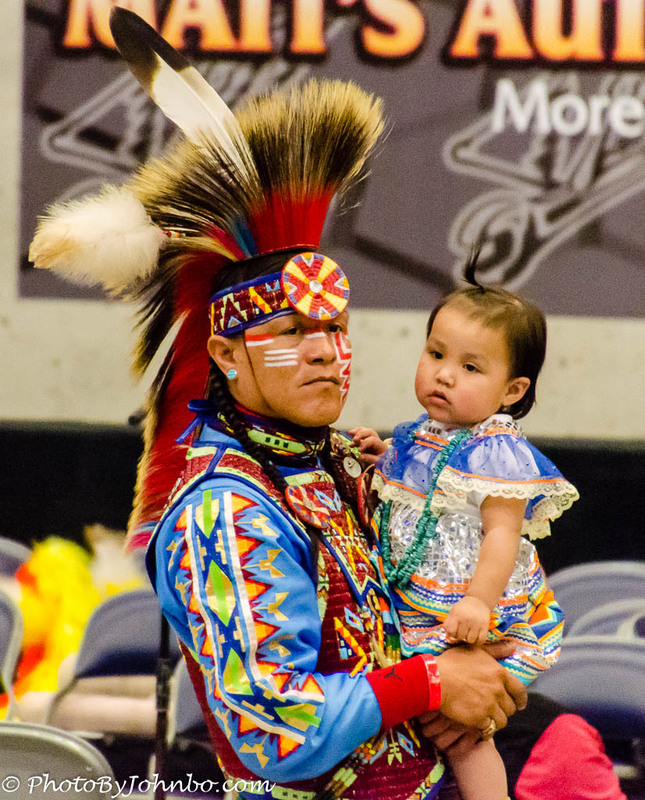 Competition powwows are an attraction not only for Native Americans, but for people of all backgrounds. By the late 20th century, the greater interest in the heritage of the Native American and the influx of prize money from sponsors, often Native American casinos, has led to a circuit of popular powwows across the country. The image above features a father and daughter, he intent on watching the competition, her, maybe not so much. Over the years, we’ve spent time in our travels at nearby botanical gardens. 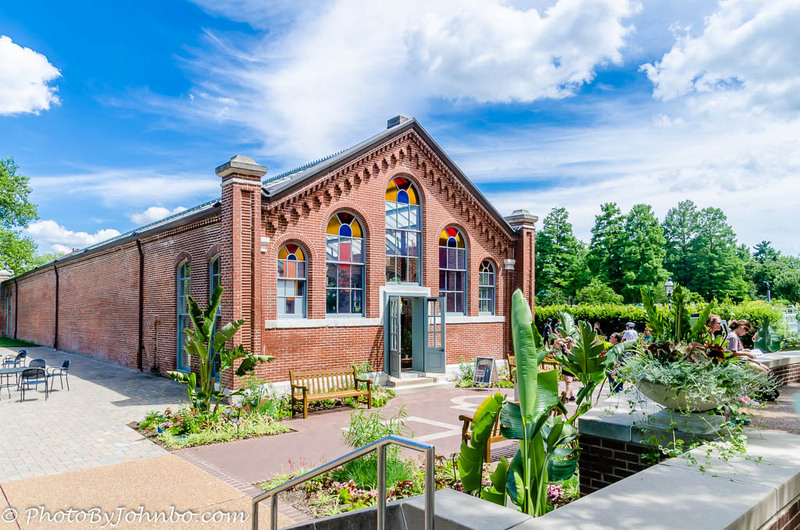 The Missouri Botanical Garden was a stopover on our way through Saint Louis, a refreshing afternoon in a beautiful garden. On our journeys, you’ll find trips to gardens in several states. If you use the search function on the right of this page using the term “botanical”, you’ll find over a dozen posts featuring views of our visits to several around the country. By the end of this month, you can expect a post on a visit to the Sarah P Duke Gardens in North Carolina. On that next vacation trip, take some time to stop and visit those lesser known places, the ones that tourists bypass but the locals know and love. No doubt you’ll find something of interest and maybe something that will draw you back to visit again and again. A wonderful travel experience. I’d love to ride the iron rails on an old steam train from Colorado to Arizona! It must be a fun trip! I see I wasn’t clear in my writing of that paragraph. The trip to Colorado wouldn’t be on the train. It would take us to where we can ride the train at Durango. Thanks for your comment, and thanks for helping to host these challenges. Thank you for explaining. I’d be a long ride… I heard about where you can get on the train at Durango. That looks like a great trip! Thanks for sharing! You’ve been to some really interesting and beautiful places, John, and I’m so glad we could tag along! Thank you! I hope to share many more trips to little known places!